Fort Fido Dog Daycare & Boarding News Blog: Stella and then Lucy! Yesterday, we had Stella in for her Assessment Day. 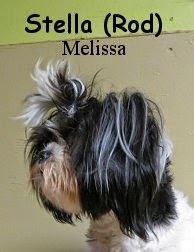 She is a nine month old, eleven pound, black and white colored, Shih Tzu. This regal little gal hung out with us upstairs in The Fort's Little Roll. There, she did quite well, acting particularly calm and balanced for such a young dog. Stella didn't get into too much play, however she seemed to enjoy spending time with the pack. Her owners are doing a fine job raising her up. Shih Tzus are a very "headstrong" breed, that can become quite demanding in the wrong hands lol... Lucky for Stella, and us, she has some strong leadership at home. Way to go guys, keep it up! This morning, we met with Lucy for her Assessment Day. 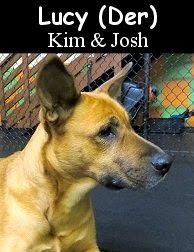 She is a three year old, fifty pound, German Shepherd Mix... That just so happens to be the "aunt" of Fort Fido regular Kingsley. Lucy tried the Big Roll on for size right away, and liked it. She explored the play area, and then met with the other canines that arrived, in a kind and proper fashion. As time went by and the pack grew, Lucy even got to see "nephew Kingsley" join the mix lol. We believe, given time and consistency, that Lucy can become even more playful, and can have even more fun here. We'd love to see her really "bust out" in future visits. Both Stella and Lucy, are great new additions to our pack, nice work ladies!